For the HF part of my radio amateur High Power project, I drew a PCB LPF, which was described by Jim / W6PQL, and combined it with a preliminary SWR meter from Alexander / R7ND (UT2FW). The PCB is made from FR4 material of 2 mm thick, with a doubled thickness of copper conductors. 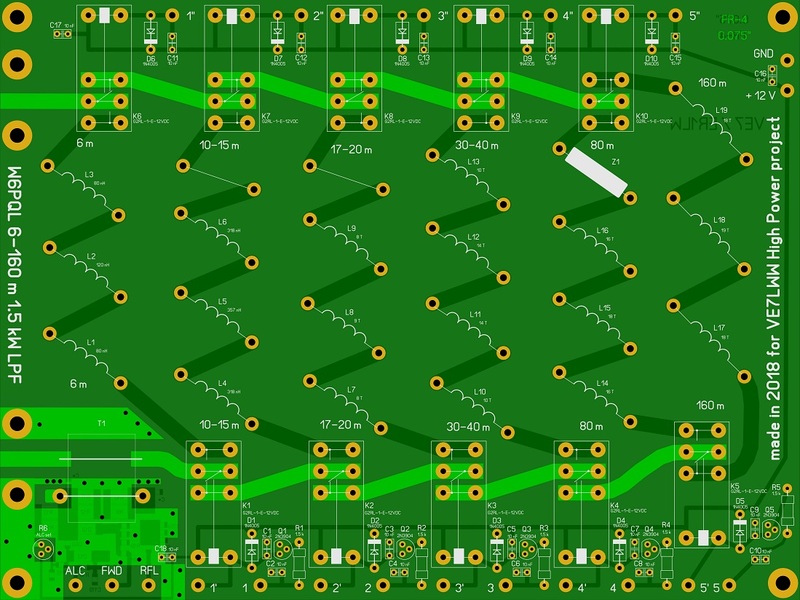 If you liked my design, you can buy ready-made PCB from me by contacting me through my E-mail .